Regan took the Michael over O’Neill, now he must walk! You are here: Home » Uncategorized » Regan took the Michael over O’Neill, now he must walk! DUST had barely settled on Northern Ireland’s gut wrenching World Cup playoff defeat to Switzerland when the SFA made an approach to speak to their manager Michael O’Neill. Having taken a nation from 127th to 20th inside six years, to their first major Finals in thirty years and within touching distance of the World Cup, O’Neill ticked all the boxes required to convince Stewart Regan that he was the outstanding candidate to take Scotland forward following the departure of Gordon Strachan. It looked as though the SFA were acting decisively. However, in true SFA fashion, they dithered after falling short of the compensation agreement, waited until the last of Strachan’s pay cheques went through and for O’Neill to seek clarification on whether or not he really was a wanted man for them to up the ante. By that time, his current employers offered him a bumper new four year extension on his current deal, though the SFA were still confident of landing him after agreeing compensation with the IFA to talk to O’Neill last week. Today, Michael O’Neill turned down the chance to manage Scotland to remain with his homeland, leaving the SFA still searching for a new manager over three months after ditching Strachan. Even by the SFA’s standards, this is an embarrassment of the highest order! They should’ve nailed the O’Neill position within weeks of making their approach. Had they followed up their initial interest by meeting the compensation, he might have been persuaded to take charge of the nation in which he resides. Whilst it’s acknowledged that a family bereavement halted the process by a couple of weeks, the SFA should still have followed up that approach with a firmer offer rather than go back round the table again, adding to the five weeks that had already passed since they let Strachan go. In that time, Paul Lambert had voiced an interest in the position having been out of work since leaving Wolves last summer. It is believed that he was the SFA’s Plan B should O’Neill say no and he could well have been approached had the SFA found out their position sooner. However, Lambert was then, unexpectedly, offered the Stoke City job last week and a return to England’s top flight was never going to be knocked back. Of course, we can’t assume that Michael O’Neill would, categorically, have said yes had he been offered the job earlier. He enjoys his role with Northern Ireland and he has aspirations to go into club management one day, with rumours that he was in the running for West Brom before they decided to go with Alan Pardew. However, it was clear that he was interested as he never at any point said he wasn’t and he sounded disgruntled that the SFA hadn’t talked to him in a BBC interview just before Christmas. 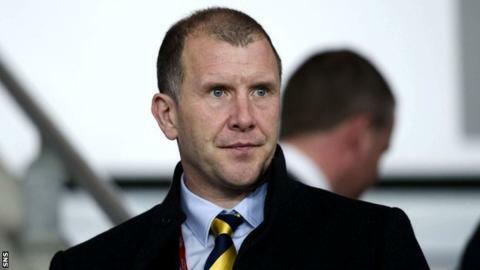 The fact the SFA took their time didn’t make him feel wanted, whereas his homeland were desperate to keep him, so he cannot be blamed for turning down the Scotland job. The SFA should’ve been prepared for the event of O’Neill turning them down, fact is they weren’t and have suffered an even bigger humiliation than Rangers when they were knocked back by Derek McInnes. For the SFA, the timing of O’Neill’s snub could not be worse. The draw for the inaugural Nations League, which marries into the European Championship qualifiers, takes place on Wednesday and Regan will attend the event without a manager to represent the nation. In addition, the Supporters Club memberships are due for renewal, something which the SFA still haven’t produced a price list or timeframe for even though they’ve announced four friendly matches between now and June. The farce of the O’Neill approach and rejection will have many wondering if it’s worth another two years under a poorly run regime and a third choice manager at best. So where does this leave Chief Executive of the SFA Stewart Regan? For me, it’s time for his seven year reign to end! Ever since he arrived from Yorkshire County Cricket Club, he’s presided over one PR disaster after another and his lack of leadership has won him no friends amongst football fans across the country. Firstly, he gave Craig Levein another campaign after his failure to get to Euro 2012 then not sacking him until World Cup 2014 was all but over after four games. Even when he ousted Levein, he allowed him to go on holiday to buy the SFA time to make a decision rather than not delay the inevitable. He then covered himself in bigger disgrace in 2012 with an emotional blackmail plea to then SFL clubs not to vote Rangers, who were liquidated that year, to start life in Division Three and to queue jump them into the First Division, declaring “Armageddon” if that happened. The fact that only two clubs went into administration and none went out of business in the time Rangers earned their way back to the top flight showed how out of order his comments were. He has also treated the Scotland Supporters Club with utter contempt. Hammering ticket prices up for the Euro 2016 campaign then comparing Scotland matches to a David Guetta concert was insulting and proved that Regan doesn’t care about the fans who contribute a large sum to the SFA’s coffees. The way he has handled the current managerial vacancy is the tip of the iceberg. Whilst it is reasonable to say that Regan doesn’t have full power and that decisions are committee based, he does have the position to make strong recommendations to the board for them to follow and he is, ultimately, the key man when it comes to the biggest decisions in our game, especially the managerial appointment. He is failing in his role and it’s time for him to go for the good of Scottish Football to make way for someone who is capable of talking up our game! So it’s back to square one for the SFA and back to drawing up a shortlist of candidates to succeed Gordon Strachan as Scotland manager. Alex McLeish is now the bookies favourite. Out of work, Scottish and having done a sound job before in 2007, he suits the SFA criteria down to the ground. His appointment is unlikely to be met with major approval from the Scotland fans, with many still angry at him for attending a World Cup draw knowing he was going to Birmingham City days later, plus his two year absence from the game doesn’t fill many with excitement. Regan will argue that the SFA still have time and remind us that the Nations League doesn’t start until September as his defence. However, does he really want to risk going into two friendly matches against Costa Rica and Hungary in March without a permanent manager and ask Malky MacKay to hold the fort again? If he and his equally untrustworthy committee continue their dithering tactics in finding Strachan’s successor, thus pushing other candidates away from the job, that is exactly what will happen!